The 66th PGA Merchandise Show takes place Tuesday through Friday, January 22-25, at the Orange County Convention Center in Orlando where more than 40,000 golf and industry professionals are expected to attend. Known as an annual “can’t miss” event, it is the golf industry’s most widely attended gathering each year, drawing guests from across the world. The popularity of the PGA Merchandise show is driven by its informational and educational value, as the latest trends in equipment, technology, apparel and accessories are on full display. The PGA Show Demo Day, which is held on Tuesday, January 22, is considered the world's largest golf equipment testing event. Over the following three days (Wednesday-Friday, January 23-25), attendees will have access to exhibits as well as the opportunity to attend various educational seminars which cover topics such as best-business practices, peer networking, teaching, and the business of the game. “We go with our eyes wide open and look for things that will help us improve every area of our operation. It’s an opportunity to network and look for best practices from my peers,” said Scott Paris, Plainfield Country Club’s Chief Operating Officer and Director of Golf. Paris was named the National PGA Merchandiser of the Year in 2013 and the New Jersey PGA Golf Professional of the Year in 2017. “I get to see a lot of people I admire. There are several educational opportunities. It’s a valuable and inspirational week for several reasons,” he said. Like many other club professionals, Paris is on the lookout for unique items. “I’m always looking for ideas – favors for our member-guest tournament, new products we haven’t seen before, something unique - to see if those companies are a good fit for us. I look for tournament prizes, things for the golf shop and clubhouse. Sometimes it can be tournament or instructional software - vendors perform a demo for you. I can meet face-to-face with the company that does our website and online tee-time bookings. We can find out if these products enhance our programming and if they have real value to our members. I consider the show a critical event for myself and our staff to attend every year,” explained Paris. Pat Lawler, 2017 NJPGA Merchandiser of the Year for Public Courses and the PGA Professional at Rockleigh Golf Course in Bergen County, has an agenda when he attends the show. In particular, Lawler seeks items that appeal as gifts for the golfer in the family, as well as accessories and unique items for his golf shop. “As a PGA Professional, I always try to educate myself on all the products and the newest items. We always try to find products from little or unknown companies that not everybody will have. We like to be unique. And, if the vendor is small - and it is a hot product - most likely they will sell out quickly and you can make very nice margins on them,” Lawler noted. “We also find going to the demo area and listening to customers after they test new products is one of the best ways to see what is going to be hot. Simple things like a new color, or a new style golf shoe that we think may be ugly really isn’t - because the consumer loves it,” he concluded. Signs by the Sea, based in Wall, NJ, manufactures high-quality customized signs and hand-made gifts. Starting in their garage in 2011, the company, owned by Kathy and Mike Yevchak, has grown exponentially to where it now has 15 employees and boasts the PGA Tour and St. Andrews in Scotland among its customers. “Each year that that we go to the show, we drum up a significant amount of business. It’s expensive to be an exhibitor, but it’s worth every penny,” Kathy Yevchak said. “If it wasn’t for the PGA Show, our business would never have grown so quickly and we never would have made the contacts we have in the industry. Keith Stewart is the Head PGA Professional at Springdale Golf Club in Princeton and attends the PGA Show on an annual basis. “The PGA Merchandise Show is the largest continuing education event one can attend. Our business requires us all to stay current, be thoughtful, and perform at our very best. 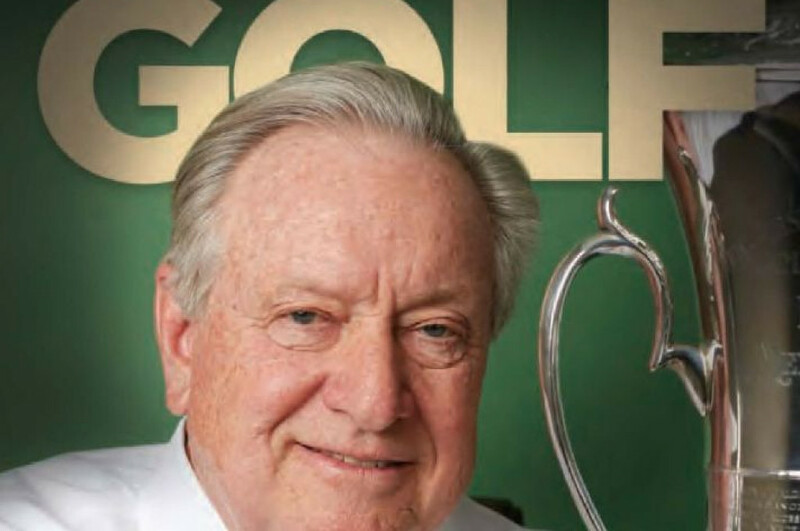 Visiting with your peers in business and profession gives you the opportunity to set you and your facility apart,” said Stewart, who won the 2016 New Jersey PGA Horton Smith Award for continuing contributions to professional education.